El Museo de arte Thyssen-Bornemisza in Madrid has quite an incredible collection from MEDIEVAL to MODERN Art MASTERS – but it is their Modern section that BLEW ME AWAY. 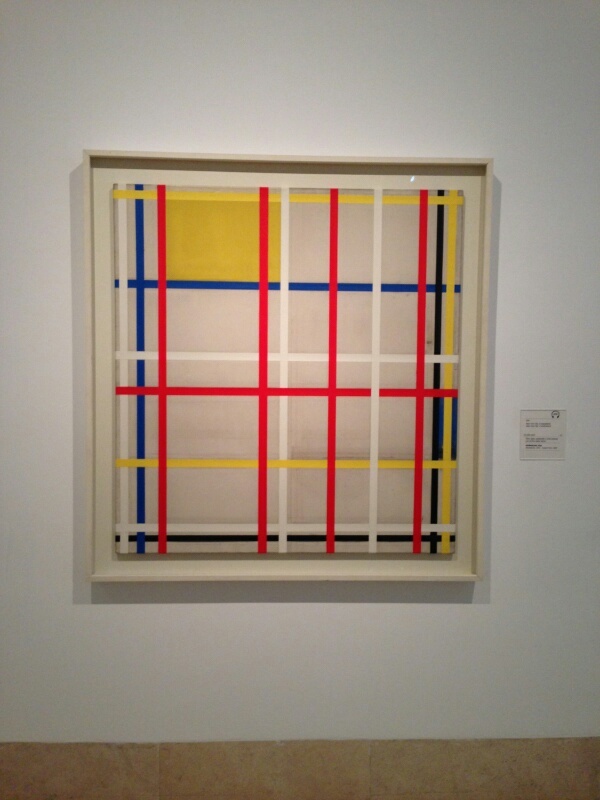 From Rothko to Lichtenstein, to Mondrian (pictured above, New York City, 3 (unfinished), 1941,) and more, their Modern collection, is IMPRESSIVE, to say the least. 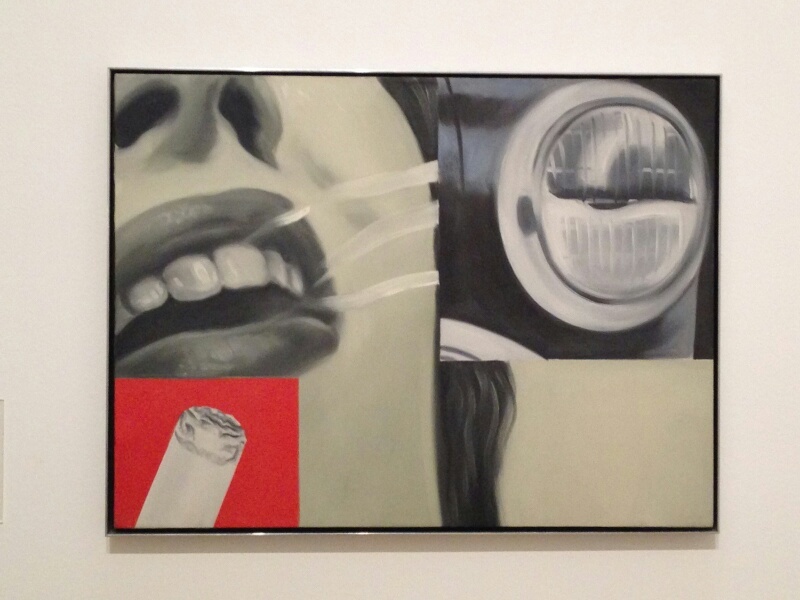 Below are some pictures of my favourite works from the collection… If you are ever in Madrid, get out your camera, iPhone, or whatever (because YES, you CAN take pictures – but NO FLASH please) and CAPTURE these paintings, after taking them in. 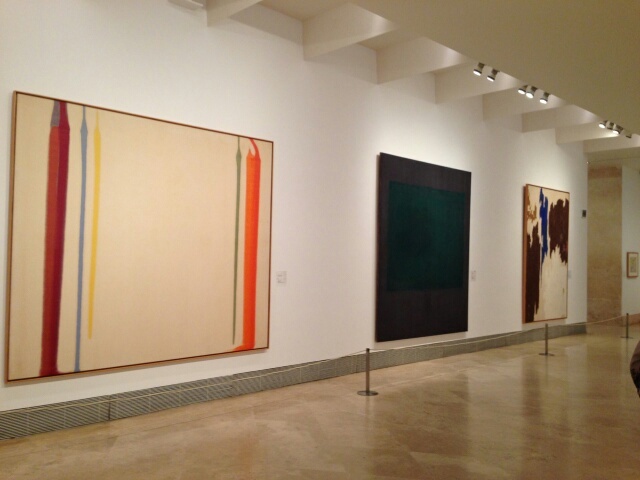 Left to Right: Morris Louis, Pillars of Hercules, 1960. Rothko, Untitled, 1961. Clyfford Still, Untitled, 1965. 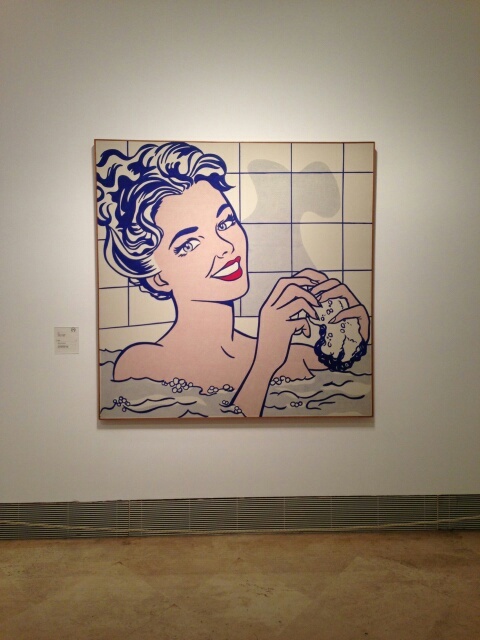 Lichtenstein, Woman in Bath, 1963. 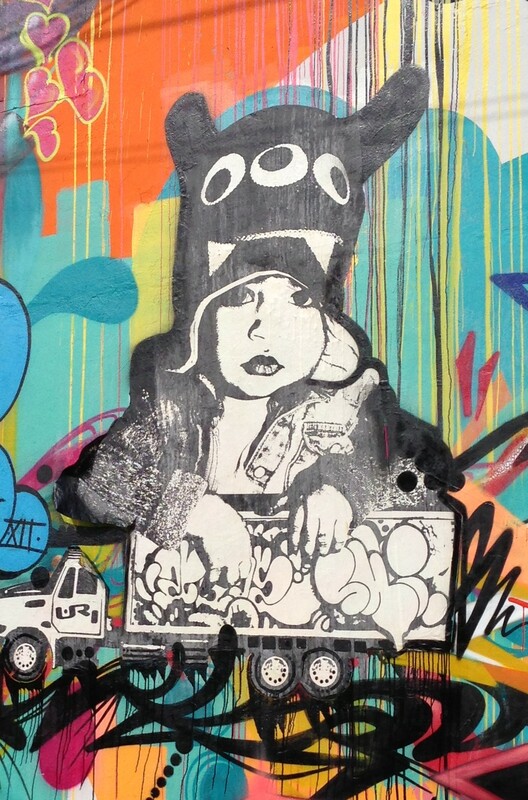 These LARGER than life canvases will leave a lasting impression on you – guarantee it.